The TriCruiser Long Wheelbase Recumbent Trike is an easy-to-build and easy-to-ride comfort trike perfect for all-weather riding as well as city driving. Congratulations to all of our winners. 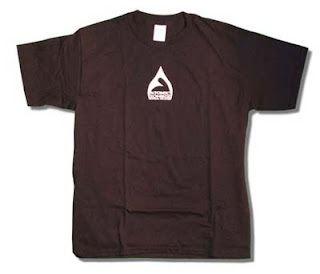 Another survey will be announced soon, so stay tuned. Even after six years we still get emails and queries from around the world. Someone emailed recently about seeing Brad's picture in the 50th Anniversary Guinness World Record book and wanted to know if we would donate it to a museum. Unfortunately, the World Record SkyCycle was cut up and recycled into other bike projects. It was useful for a couple of summers in the backyard for some flowering vine plants, though. TriCruiser Recumbent Trike 100% done! A long wheelbase, under seat steering, suspended tadpole that uses standard front wheels. The goal here was a trike that would be great for winter workouts, so it has a higher seating position, narrow track, and the LWB configuration makes it easy to add a front wind break as well as keeping most traction to the rear wheel where it will count. 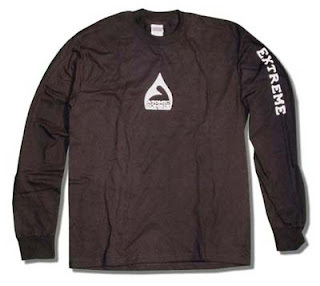 Front skates or skis would also be easy to add. The steering has no wheel scrub, and the rear suspension is very smooth. This trike is also extremely easy to build as it uses only the most common cycle components. This is a fusion of my original "HammerHead Winter Trike" and the new Voyager LWB. Plan to follow in a few days! Videos and final glory shots tomorrow. First, the seagull last week took an interest in our photo and video shoots of the Voyageur Long Wheel Base Recumbent. Then, yesterday, Brad was visited by a new feline friend checking out the garage and his work on the latest long wheel base recumbent bike. He stayed around for a few hours, and enjoyed some attention from us, but he didn't like the grinder, so off he went looking for another adventure. This soon-bo-be-named bike is kind of like a fusion between Voyageur and my old HamerHead trike. It's not a speed machine, but good for visibility and winter riding. This LWB tadpole new trike is perfect for winter driving, and can be built without using any special front axles. If all goes well, it should be painted today and online this weekend. Stay tuned. There are 22 new additions to the Atomic Zombie family. The Builders Gallery features news choppers, long wheel base and short wheel base recumbents, trailers, trikes, quadcycles and tall bike. Check them out! 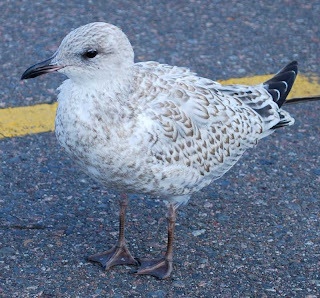 This young gull was interested in our video shoot of the Voyageur Long Wheel Base Recumbent recently. We went to an open parking lot for some pictures and vids and this young dude kept getting closer to me, ended up standing right beside me while I snapped some shots. Don't feed the birds! Thanks for the stuff freak bikers! 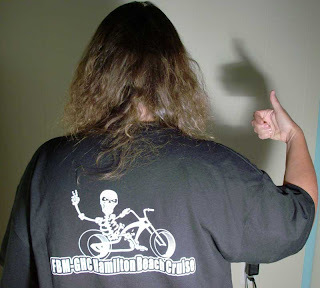 Thanks to the Freak Bike Militia Golden Horseshoe Cruisers (Hamilton) for sending us two very cool FBM-GHC t-shirts. We enjoy sponsoring this event every year. Yes, Tony, we do hope to make it there some day to ride with you all in traditional Atomic Zombie fashion. 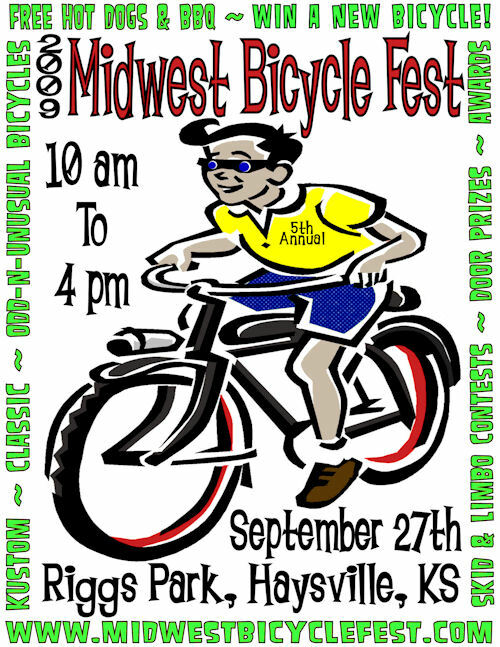 Atomic Zombie is also a proud sponsor of the 5th annual Midwest Bicycle Fest on September 27 in Haysville, Kansas. The Coaster Bicycle Club of Wichita, Kansas, are very active. 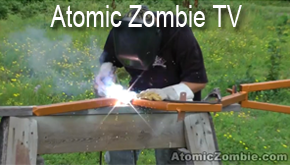 OK, we've joined, but someone already has our official name so we're known as zombie_atomic. Hope to update with regular tweets so please join in! We are pleased to announce that the Voyageur Long Wheel Base Recumbent is ready for download. 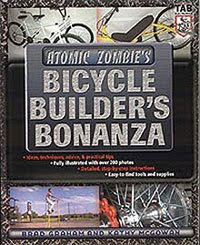 This and other projects are available for download on the Atomic Zombie site: www.atomiczombie.com . Here it is - the first picture of the newly completed Voyageur Recumbent. Brad is writing the plan this weekend, so we expect it to be available for download early next week. This long wheel base recumbent features under seat steering, suspension and adjustable bottom bracket. Stay tuned for further announcements on when the plan will be available for download. There have been reported problems by a few people this week unable to see or receive their download links. If you are using Windows Vista, you need to learn about the problems many like you have been having. This is a Microsoft blunder. It has nothing to do with us or our system. I've read through enough posts on Microsoft's and others' forums from frustrated users, and yes, we are experiencing some problems this week on our own computers, following a Windows update. We are using XP, but there are still the occasional glitches we have to try to work around. As for the Vista problems, well, you can always hope that Windows 7 will be better. It could happen, maybe. OK, now for some good news. Today, we put eight bike projects online just for kids. The .PDF download is 12MB. can be built over a weekend and use easy-to-find parts. Victim of a hate crime. I'm digressing today from our regularly scheduled updates to discuss some disturbing trends in our city and our country at large. This may shock many of you. Hate crimes are alive and well here. The same kinds that happen in communities around the world. We are not immune to the ugly sides of humanity. Atrocities are committed here regularly; the news might not have reached you where you live. There, I said it. Media organizations publicize a small fraction of the dark side of our seemingly friendly, everything-is-lollipops-and-sunshine way of life. I'm all for engaging in open discussions on various topics, especially those that make folks uneasy. I welcome opportunities to hear and read opposing viewpoints, whether I agree with them or not. The world would be a much better place if we closed our mouths and listened to each other first. I might not agree with someone's beliefs, but I do have enough respect to try to understand someone else's viewpoint. We can all learn from each other if we don't let fear take control of our ability to reason. What am I talking about, you wonder? Well, a couple of things lately proved to me that there truly are ignorant people out there who preach intolerance which in turn breeds hate. The first was a discussion I overheard concerning a wedding. A couple was griping about an upcoming wedding they were invited to and they really didn't want to go. One of the betrothed was a good, loyal friend of the family for many years. As the discussion continued, they finally admitted they didn't want to go because the couple was gay, but they felt that they had to go just to keep up appearances. They went on an anti-gay tirade as their strict religious convictions are 100% anti-gay, and in the next breath wondered if they should feign an illness as an excuse not to attend. I thought to myself, if this wedding was in conflict with your religious views, why put on the act and pretend that you're OK with it by attending? I have more respect for someone who sticks to her beliefs, than a poser putting on an act. Talk about hypocrites! I have no idea if they actually went or not. Now, I have known these people most of my life. They have always been good to me and I thought were good natured. They aren't evil people. However, they are like so many others here. Intolerant. Ignorant. Fearful. Narrow minded. Hypocritical. I prefer to distance myself from these types of people. Let's just say that my circle of close friends and family is pretty small, but that's fine with me. The three men accused of assaulting Jay Phillips in an attack in Courtenay caught on camera and broadcast on YouTube, made their first court appearance Thursday. Adam David Huber, 24, Robert William Rodgers, 25, and David Samuel White, 19, all appeared briefly in Courtenay provincial court regarding their charges of assault. With more information to review, their next appearance was set for Aug. 20. The assault caught international media attention as an apparent act of racism, with three white men attacking the black Phillips. Phillips, who's used the incident to raise the issue of racism in the Comox Valley, attended the court appearance. "It brings back all the memories and it was difficult," said Phillips afterwards. "But I gotta keep remembering that this is the process." Despite the fact that first appearances are often very routine, Phillips said he felt it was important that he be there. "I do not want them to forget what they did, who they did this to," said Phillips. "This cannot happen again." Two of the accused ran out a side door to the courthouse to avoid media waiting out front after their appearance." These are just two recent examples of the hate and intolerance that plagues our nation's communities. Hate is ugly and it's alive and well here. Hate mongerers are cowards. It's not all lollipops and sunshine. 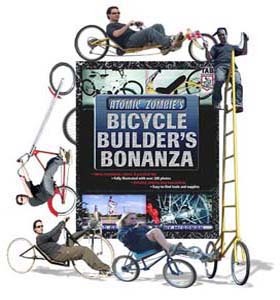 Just added some magnets and new designs to the Atomic Zombie store for all of you recumbent, quadcycle and chopper bike freaks. Yes, Brad's back at it in the garage. In the distance I can imagine grinder sparks flying, the steady hum of the welder, and the chipping hammer working overtime. He's determined to take advantage of the summer weather we are finally having to get more bikes done. Making great headway with this latest bike project. The next project, which judging by the progress I saw last night should be done in a few days, is called the Voyageur Long Wheel Base Recumbent. All I can tell you at this point is that it has two wheels, round tubing, under seat steering and suspension. Brad describes the Voyageur as "a Marauder-style with a higher seat and under seat steering" designed for touring, especially for those who like recumbents but prefer to sit higher up for better visibility. There will be a rear cargo area perfect for carrying panniers, packsacks, etc. Don't have any pictures yet, but judging by what he's done so far, painting will be done this weekend. Stay tuned! Late last night, a cyclist died on a Toronto city street after an alleged "altercation" with an automobile driver, former Ontario attorney-general Michael Bryant. Witness reports aired via the media today allege that the car driver and cyclist had some kind of confrontation on a street, which escalated into a road rage incident, and the cyclist, 33-year-old bike courier named Darcy Allan Sheppard, is now dead. Hopefully, the facts disclosed in court will be shared openly and transparently with the public throughout the proceedings. The facts are not totally in yet, and as usual, people are jumping to conclusions about what took place. All we know for sure is that someone is dead and someone has been charged with criminal negligence causing death and dangerous driving causing death. The accused is scheduled to appear in court at Old City Hall, on Monday, Oct. 19, room 111, at 3 p.m. This latest tragedy is a disturbing trend this summer in which cyclists have been injured, deliberately chased by vehicle drivers and run down, and assaulted. Situations get quickly out of hand when tempers flare. There are always two sides to every story, of course. 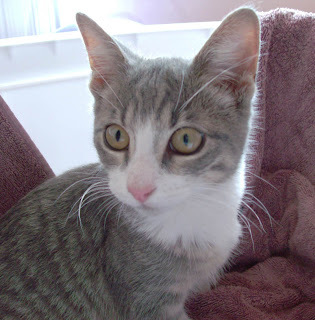 Unfortunately, Darcy will never be able to tell his side of the story. On my way home this afternoon, I had a heart-stopping experience with a cyclist. I stopped at an intersection (4-way stop signs). I had accelerated half-way through the intersection, and this guy on a bike came blasting through a stop sign on my right, he didn't even slow down, with a 24 case of beer atop his handlebars. He had the nerve to give me the finger! Some people disregard their own safety, let alone anyone else's. I guess racing home to drink his beer was much more important. It could have cost him his life, but he didn't care. Each of us needs to take responsibility for our actions, whether we accidentally or deliberately do something. Be careful, everybody, and please be extra vigilant when you're out riding on streets and recreation trails. Your life can change in an instant.